You may want to consider getting some supplies to help with the process or organizing your entertainment center. 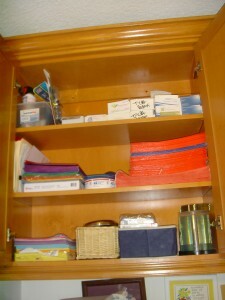 I like to use pull out drawers, like the Elfa systems (you can find them at the Container Store). They are easy to put together and provide easy access to everything. Or, you can use stackable bins or baskets. 1. The first thing is to empty it out completely. Yes, everything out. This is important as this allows you to see everything that was in there. You can then determine what should and should not go back. 2. Now that everything is emptied it out, start to purge! Go through your old tapes, CDs, and DVDs. Toss or donate the old tapes if you no longer have a tape deck in your home or car; donate the CDs or DVDs that you no longer want or need. While you’re at it, toss the clickers from old TVs or other electronics that you no longer own. 3. The next step is to sort the remaining items into categories keeping similar items together. For example, keep all remotes in one place, all CD’s in another, on so on. 4. You can now start putting everything back. The important thing to remember is to keep similar items together. Depending on the amount of room you have, you may want to use one shelf or drawer for your CDs and the other for DVDs so that you can find them easily. You might even consider breaking it down further by alphabetizing your CD’s by the last name of the artist or sorting them into musical categories. Again it should be organized in a way that is easy for you and makes sense to you. 5. 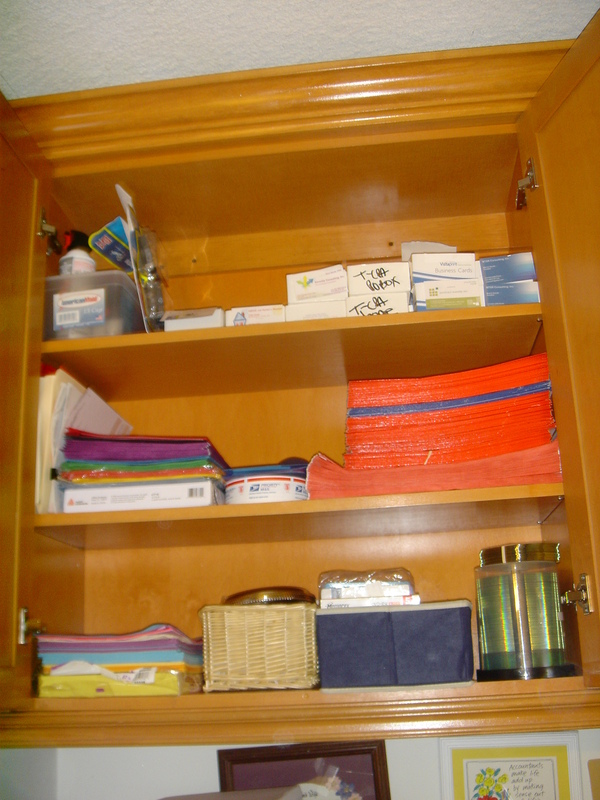 If possible, label the drawers or shelves so that keeping this space organized is easy for anyone in the house.